Dead Island Riptide PS3 Review. 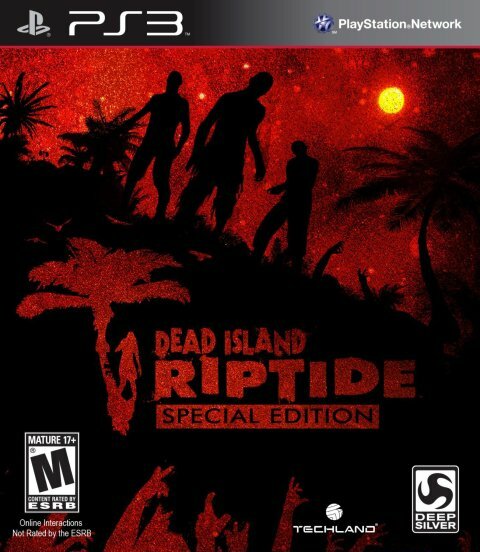 If you enjoyed the first Dead Island, then you will very much enjoy Dead Island: Riptide. 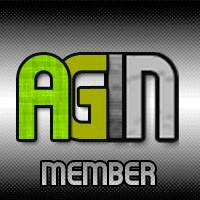 For new gamers, this is a good one to come in on. 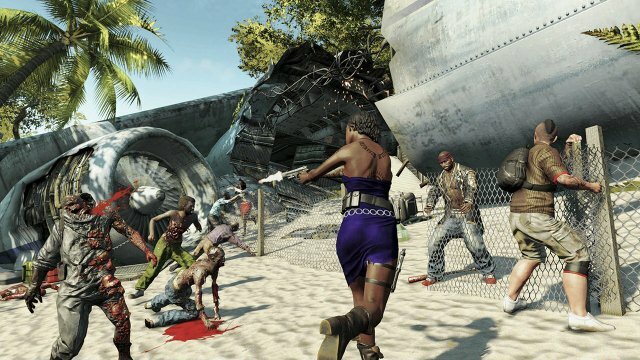 Just like a fun summer popcorn movie Dead Island delivers the fun and thrills with the follow up Dead Island: Riptide. Even with many new scenarios that pack a lot of gut punching scares in this game, there is enough of the familiar that anyone that has played the first excellent game in this franchise will feel right at home. 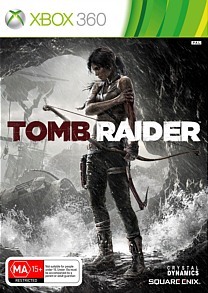 This action role-playing survival horror video game developed by Techland and published by Deep Silver once again sets a standard for the Survival Horror genre. It’s too bad others with a big name brand could not deliver half of what this game delivers. The Dead Island series now with Dead Island: Riptide continues the tradition of just simple conceptual fun of bashing zombies and surviving. If you’re looking for deep meaning or learning a lesson here you won’t find it. If its deep game play you think you’re missing… you’re missing the whole point. That is where the Dead Island series lives; hovering between seriousness and so bad its good film style adventure. It’s an interactive summer popcorn movie at its best. No other zombie game has instilled the tingling fear swimming through me like the sound of a screaming infected as they come gibbering at you on the attack. Or the sounds of screams out in the distance the echoes of something in another place maybe close or far away. Or that freaking spine tingling whisper of “Help Me” before some bloated pulsating horror explodes near you…. 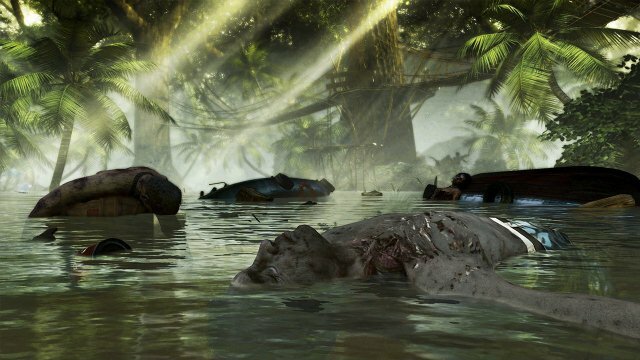 The sound designers for Dead Island: Riptide pull on the players deepest physiological fears of the unknown. Welling up the growing anticipation and serving it up with the dread of the horrors you know you have to face. Those that have played the original are able to port their character with their full stats over to the new game. This adds a great incentive and value to the new game, while keeping players of the original in mind. It’s sort of an award for those that have played the first and are coming over to the second game in the series. Now for those with the least bit confusion about the game, no…it is not a DLC, it is a full game. 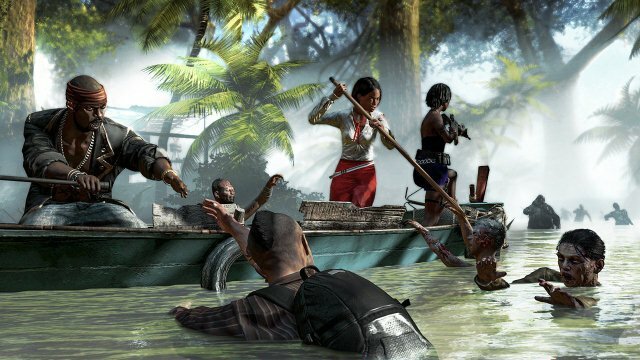 Dead Island: Riptide is a very well done sequel (With a few oddities) that brings back the original cast to once again face the horrors of the zombie outbreak. The cast is joined by a new character named John who was an ADF soldier. 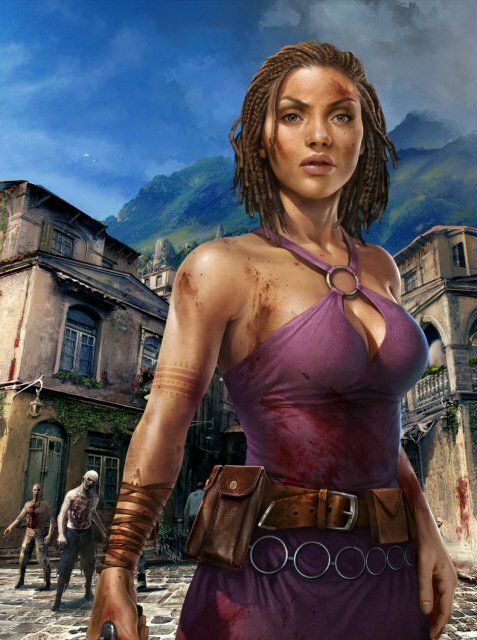 Each character comes into the game with specialties and perks. John is a hand to hand combat expert. He has a faster weapon skill learning ability. Also he has a chance of performing an area attack and even better; a chance of avoiding death and healing instead. This character has particularly powerful uppercut attacks and running kicks. So players either old or new have some great avenues of jumping into the game. New players can choose a new character from the mix, and players that had played the first can port over their character with all the skills they earned from the last game. While the story picks up right from the end of the first game, players do not have to play the first one to enjoy this second one. Our heroes chopper to a ship and the rejoicing of escape soon turns into captivity and then once again horror overtakes them. Soon to follow wrecking once again on an island infested with monstrous danger. For those new to the franchise, as it often happens in these stories…the set-up is that some kind of virus has spread. Brining all manner of the dead to undead, and infecting the living into something neither alive nor dead. As well as a few mutated beings that will give players all manner of trouble. Now the heroes of the story for some reason are immune to the virus and must survive as they make their way to escape from the islands. Even if they are immune to the virus, the beings on the island can make them dead and a meal. I know what many may be saying and it’s kind of true. Oh no not another Zombie game to an already saturated Zombie market. There is a difference here to be sure. The game has some good popcorn style movie story line going for it, with a lot of well-done game play (Both old and new) to back it up. Some of what is back is the eve popular go get this item quest. It keeps things interesting with goals; though these types of quests can pile up on you if you are not careful. Some of those oddities I spoke of earlier are the B film acting and some of the rather odd looking characters and faces you see in the game. I tend to like this; it’s sort of like a branding of a franchise. Sort of like when you go see a Quentin Tarantino movie, he has this certain style in what he puts on screen. You just expect it and it gives you a smile. It has its own style and flair. So does; it seems, the Dead Island Series. While we are back on another island, there are some differences. This island is water logged from this being the monsoon season. There are flooded areas making travel by boat necessary. Especially since trying to swim and take on any zombies…extremely dangerous. Travelling along by boat also gives zombies a chance to grab onto the sides and attack. If a player is not careful they can be pulled off the boat and at a severe disadvantage in the water. While it is nice to have a new mode of travel, the boat travel somehow just does not excite me at all. 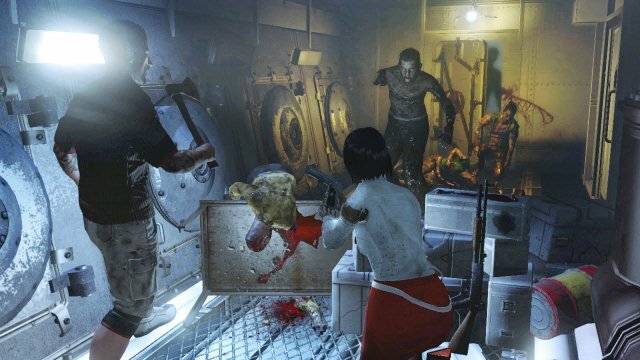 Throughout the adventure in Dead Island: Riptide, players will have many chances to get to a safe place to deal out some permanent death to the hordes of infected. Or just to catch a breather while figuring out what to do next. Further minor changes to the game may not be noticed by past players, the weapons are a bit sturdier. They seem to hold up better from the player relentless zombie bashing requiring less frequent repairs. There is plenty of work benches spread out in the game world for when the player does have to work on the weapons. The work bench is not a new concept but it is a welcome concept in gaming. The work bench is where the player can repair damaged weapons, or do upgrades on the weapons so that they are able to deal out more damage. The work bench also gives us the fun of making weapon modifications. These mods give players the most formidable and diverse zombie killing abilities in their arsenals. Carried over from the original and still a glowing example of awesomeness in a game, is the very satisfying weapons upgrade system. One of the newer adventures in the game is a kind of tower or area defense. Players have to defend the area from an onslaught of the zombie hordes, while juggling assisting any team mates keeping them alive, and shoring up areas with fencing to keep the creatures out. Since the game does have a co-op mode these adventures are just perfect for joining with a friend and having at it for survival. Playing with a friend or even three others is a blast. The more you play with a team in co-op, the more strategic you become. Players come to know the different character types, the strengths and weaknesses of each. Some characters actually do seem to complement each other. Some of the tougher infected creatures can be handled a lot easier when a team use tactics. The tough Thug creature that has devastating power in its strikes but moves a bit slow can be handled using a wolf pack kind of strategy. One of the team comes in and attacks and the thug turns towards them to attack them, another team member can rush in from the rear and score hits and back off as the creature turns to confront them. Using this tactic we put more than a few tougher zombies infected down for the count. Playing side by side or multiplayer co-op is just a fun time that has to be tried. Multiplayer is perfect for the area defense sections of the game. To sum it up, Dead Island: Riptide is more of the same with enough minor tweaks to make this more than a little worth a gamers while to check out. Some area have ever so minor clipping but this never makes the game unplayable, nor is it enough to be distracting. If you enjoyed the first Dead Island, then you will very much enjoy Dead Island: Riptide. For new gamers, this is a good one to come in on.